Penny Prime originally wanted to study medicine. Charlotte Hambly initially started in dentistry. “I was interested in the health care/patient care aspect, so I did an experience (job shadow) in pharmacy and liked it,” Hambly said. “I did a work experience in pharmacy and really liked it. Prior to that I had no idea about what the job was,” Prime said. 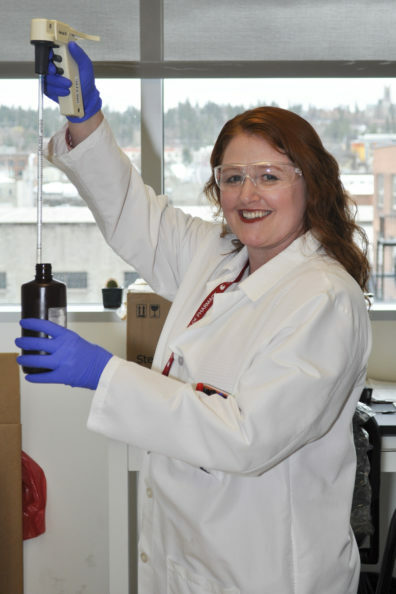 The Association for Women in Science (AWIS) Inland Northwest-Washington State University affiliated student organization was recognized for its activity in STEM advocacy this past year in Spokane. AWIS is a global network with 80 grassroots chapters and affiliates connecting more than 100,000 professionals in STEM worldwide. The WSU group, based on the WSU Health Sciences campus in Spokane, was selected as one of 10 affiliates nationwide for the AWIS STAR Award.